Escape to flamingo and pelican fringed Elementaita with Vacay Holiday Deals. 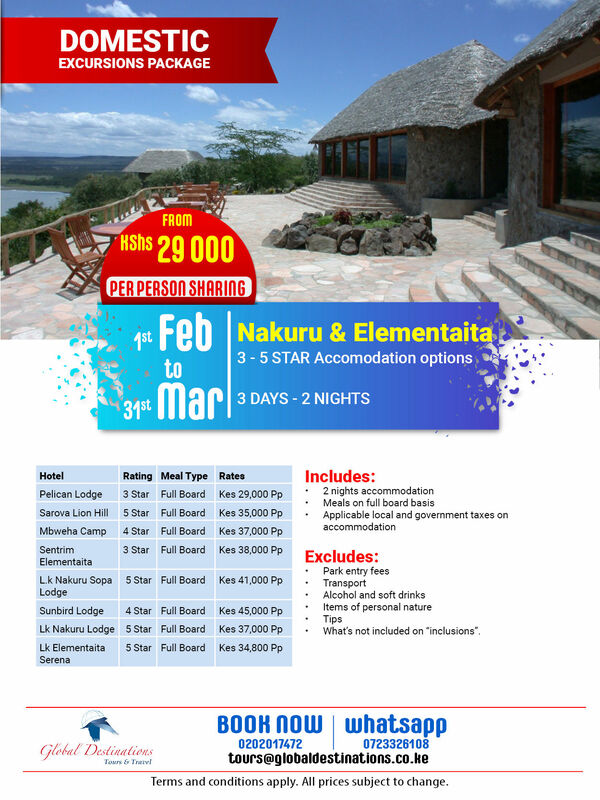 Experience Nature walks to Hell's Gate National Park, Lake Nakuru National Park, Soy Sambu and more. Hotels ideal for couples, singles, family & group vacations.